The cover features Dr. Margaret Maitland, Senior Curator at National Museums Scotland, admiring the mummy case of the 22nd Dynasty priest Nehemsumut. Nehemsumut lived around 840 B.C., which is about the time that "The Tomb" was first opened, plundered and resealed with new tenants. "The Tomb" is a Theban one, originally carved for a police chief and his wife, just 40 years after Tutankhamun's fleeting reign. In life, the police chief was responsible for the security of the Theban elite tombs. In death, however, his own "house of eternity" became a target—over and over again, for more than 1,000 years. The Tomb was finally sealed in 9 B.C. by a family who lived during another famous period in Eygpt's history: Rome's triumph over Queen Cleopatra. Unopened for almost 2,000 years, the tomb was discovered in 1857. Now, the tomb’s fabulous contents have been brought together in an exhibition at the National Museum of Scotland. Nile #8 tells the story of the tomb's discovery by a very determined Scotsman, and showcases some of its most spectacular objects - all with the amazing photography you've come to expect. Enjoy your Nile time! Enjoyed this article? Want to discover more about ancient Egypt? 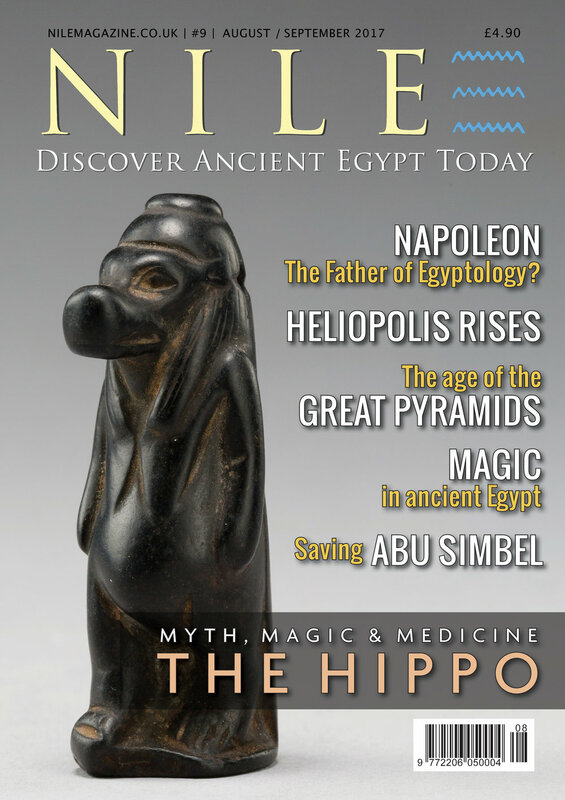 Subscribe and have Nile Magazine delivered to your door. Enjoy your Nile time!